Natalie Draisin, US Manager, FIA Foundation, speaks at Transport Day at Habitat III. Photo by Alex Rogala/WRI. TheCityFix is live on the ground from Habitat III. Click here for our full coverage. “We need to stop building cities for vehicles, and build cities for people,” remarked Quito’s Deputy Mayor, Eduardo del Pozo, setting the opening tone for Transport Day, hosted by the Paris Process on Mobility and Climate (PPMC). While the host city continues to grapple with air pollution and congestion, the city has made positive strides toward a low-carbon future, including expanding its electric bike share program and nearing implementation for a metro system. With Quito as its backdrop, Transport Day proved to be full of stimulating discussion. “1.8 billion children want to get to school safely every day, but around the world, millions can’t, due to risks of injury or death from cars. This needs to change,” implored Michelle Yeoh, UNDP Goodwill Ambassador. We often think of unsafe streets and neighborhoods as threatening children’s rights to health and well-being, but as Eduardo Vasconcellos of the CAF Development Bank of Latin America noted, poor urban design can have implications beyond that. Without genuinely safe access to schools, children may have a formal right to education, but no real opportunity to learn. The formal right to education can’t be exercised unless the transport system works for them—and in a safe way. Vasconcellos elaborated on how unsafe transport systems are failing another vulnerable user as well—the poor. For example, he mentioned how the rich make three times the number of trips as the poor in São Paulo, Brazil, yet they suffer disproportionately. Vasconcellos’s research shows that the poor suffer 12-15 times more traffic fatalities and injuries than the well-off. A more equal city, like London, has a much lower ratio, with the poor suffering three to four times the impact as the well-off. Of course, London still has a way to go to equitably serving all its residents. Women and gender-specific issues are referenced in 32 paragraphs of the New Urban Agenda (of 174). 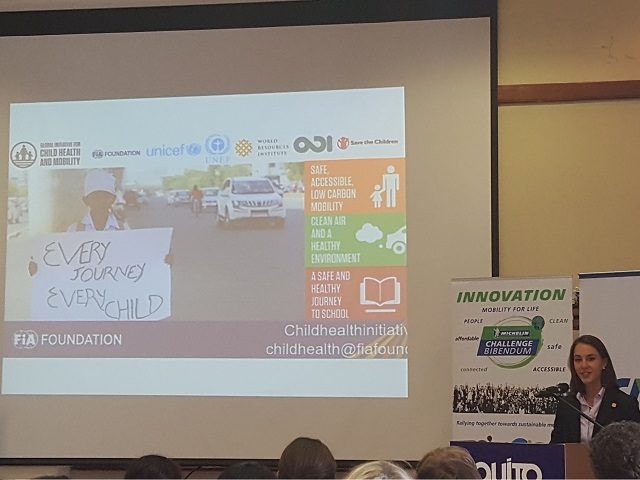 This should be considered an accomplishment, argued Katia Araujo, Director of Programs, Huairou Commission, but there’s still a lot to do to ensure that the New Urban Agenda works for the most vulnerable users, including children and those less able. Different populations have different needs, and it will be critical going forward that integrated transport and land use planning—an imperative for well-planned cities—works for all people. All this will require strong leadership at all levels of government. Jean Todt, President of FIA, called on mayors to address the 1.25 million traffic fatalities and 15 million injuries that are occurring every year, as half of these take place in cities. The New Urban Agenda elevates road safety to an unprecedented level, creating an opportunity for action. Andrés Gómez-Lobo, Chile’s Minister of Transportation and Communications, echoed this, emphasizing the critical role that good public policy—like subsidizing fares and integrating metropolitan transport systems—can play in make cities safer and more equal for all. A session on transit-oriented development (TOD) examined experiences both from the city-side and from the investor-side. Laura Ballesteros, Director of Mobility for Mexico City, noted how weak housing policy in Mexico and weak metropolitan governance allowed for unplanned development over the past several decades of the country’s history. As a result, homes in the Mexico City metropolitan area are about 21 km (13 miles) away from the city center on average, and a staggering 31 percent of homes are abandoned, due to the high costs of transport in these isolated areas. However, she did note that the city and surrounding state are making advances toward an integrate transit system and metropolitan governance. Madhav Pai, Director of India of WRI Ross Center for Sustainable Cities, discussed the challenges of TOD in the Indian context, including the tension between development with services access and the unaffordability that this tends to bring. Delhi, for example, has been moving forward with TOD projects, but while low parking requirements are a positive sign, disagreement about housing has stymied many projects from moving forward more quickly. Developers typically push for larger unit sizes in order to maximize profits, but this reduces affordability and puts the benefits of TOD out of reach of lower-income populations. Xiaomei Tan, Senior Climate Change Specialist, Global Environment Facility, discussed the role that banks play in supporting clean vehicle technologies and fuels, rapid transit systems and non-motorized infrastructure. Max Jensen, Head of the Public Transport Division at the European Investment Bank, talked about how EU policy dictates the parameters of the types of projects that the EIB can invest in. Both agreed that there needs to be a range of financing instruments that can be assembled in different combinations depending on the policy, project and context. From the recent ratification of the Paris Agreement to the Sustainable Development Goals (SDGs) and even the most recent agreement on hydrofluorocarbons in Kigali, Rwanda, the international community is proving that it can make real progress and commitments. More than 61 percent of countries’ national climate plans, known as Nationally Determined Contributions (NDCs), propose actions to mitigate emissions from the transport sector. This is a good start, but how do we break down these global commitments into city-level action? Link global processes and commitments – the SDGs, Paris Agreement and New Urban Agenda are all major advances, but how will we bring them together to maximize impact? 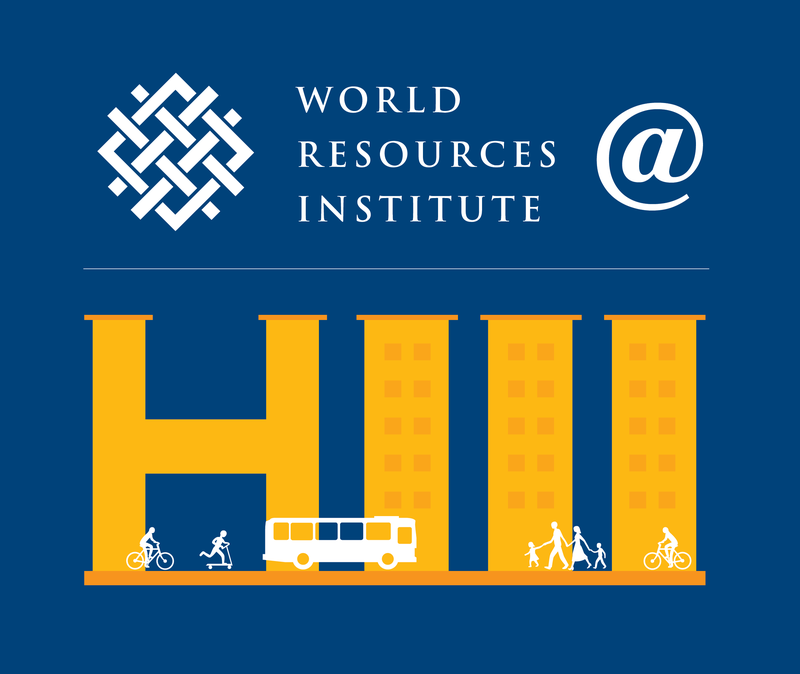 Finance is critical – research from WRI shows that investment in sustainable transport could save US $300 billion a year, and that achieving these savings is just a matter of shifting investment, not increasing it. Strengthen institutions and build capacity – many cities lack the technical knowledge and ability to shift to low-carbon transport systems. Partnerships are key – cities can’t do it alone. A sustainable urban future will require the active participation of civil society, the private sector and people.